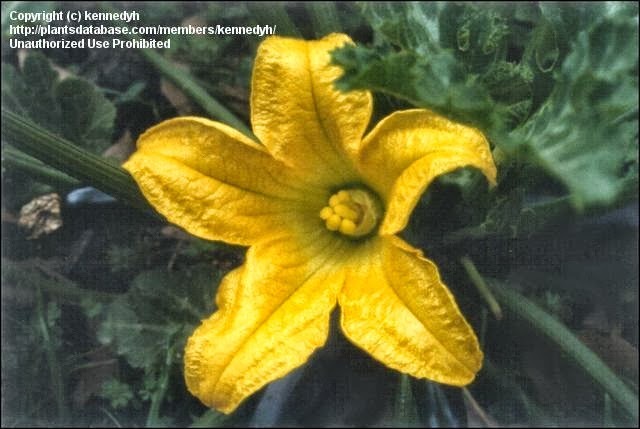 Since today is Thanksgiving Day in Canada, I figured I should post a blog about a plant that is essentially analogous to Thanksgiving in both Canada and the United States (yes, I know your Thanksgiving Day is in November...you weirdos!). That plant, of course, would be the pumpkin. What's Thanksgiving (or Christmas, for that matter) without pumpkin pie?! 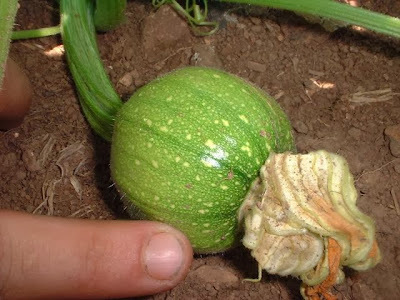 Pumpkins are actually a specific variety of the species Curcurbita pepo, one that has been artificially selected for an over-sized fruit and the orange colour (or white, depending on the cultivar). The species Curcurbita pepo is actually one of the most variable and one of the most popular fruit/vegetable species that we currently have in cultivation. We get zucchini, acorn squash, delicata squash, dodi marrow, gern squash, heart of gold squash, pattypan squash, pumpkins, spaghetti squash, sweet dumpling squash, crookneck squash, and summer squash all from that one species alone! It's amazing what human selection for various traits can do to a species. 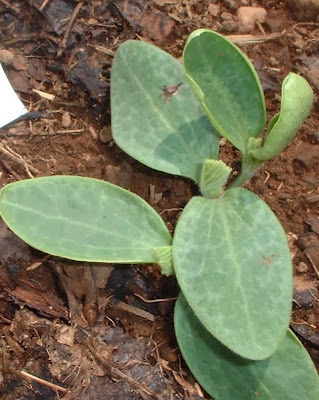 This species is native to North America, but likely native to a region in the north of what is now Mexico, or the southern parts of Texas, New Mexico and Nevada. Pumpkins are a great example of integrative agriculture, and how agriculture has changed over the centuries. 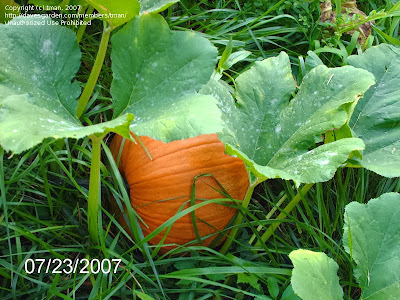 Traditional plantings of pumpkins (or any squash) were not monocultures like you would see today (entire fields of nothing but pumpkins). Native North American people used to grow squash in association with corn and beans, and those three crops are what we now refer to as "the Three Sisters." Corn depletes the soil very quickly of nitrogen because it requires so much to grow, but beans create biologically-available nitrogen through the nitrogen-fixing bacteria in their root nodules. Beans are vines, and require props to grow so they wind themselves up the corn stalks to use them for support. Squash plants are very far spreading plants that cover the ground surface and don't require many nutrients (surprisingly enough), and due to their large leaf size they out-compete weeds for light resources. The three crops grown together create their very own bio-feedback ecosystem, and ideal harvests come from all three of these crops being grown together. Now with fertilizers and pesticides we no longer require the synergistic action of all three crops in one field, but you can see how this concept will become useful once we decide that dumping chemicals on our food is not the ideal way to grow plants. If you'd like to read more about the Three Sisters, you can do so HERE. Happy Columbus Day to my American readers, Happy Dia de la Raza to my readers in Latin America, Happy Discovery Day in the Bahamas, Happy Dia de la Hispanidad to my readers in Spain, Happy Dia del Respeto a la Diversidad Cultural to my readers in Argentina, and Happy Dia de las Americas to my one lone reader in Uruguay!